Pradel versus the world — The gentle Sheeple’s choice. When the holidays come, you are confronted to other members of your family, mostly sheeples, who will open huge eyes should you wave that K2 from your pocket to slice the turkey. That said, lets see what those sheeples bring to the table. Oh! This is the kind of slipjoint elderlies are still carrying nowadays: a Pradel. This one is a fishtail bakelite carbon steel pocket knife still used for getting everything you can think of done. Let say this is Tim Leatherman main inspiration and as you can guess: this is a tool, not a weapon. It can be used as a screwdriver and is clean sometimes… let say it is wiped mostly because it could rust. Like the Chaparral, this is a full flat ground blade. It’s a real razor blade or should we say it ‘used to be’ a real one, because this baby was dull as a knee when I got it. Fortunately the unknown carbon steel percentage enabled an easy shift back to decent sharpness. The blade ‘was’ perfectly centered… a long time ago but, as you can see, the knife is an old timer still not decommissioned by its owner. Duty, that day, was to pick the potatoes to check if they were cooked and get them out of the hot water; who needs tactical flipper for that matter ? The Pradel is a knife used to cut the french bread known as “baguette”, to remove stones stuck under a boot’s sole, to open envelopes and more generally all the chores which would be better suited to a more appropriate tool, like stripping wire, cutting tarp, scraping paint, probing, forcing, twisting, cutting over and over again, but… ending up being accomplished with Pradel; doing it all just beacause it’s at immediate reach. 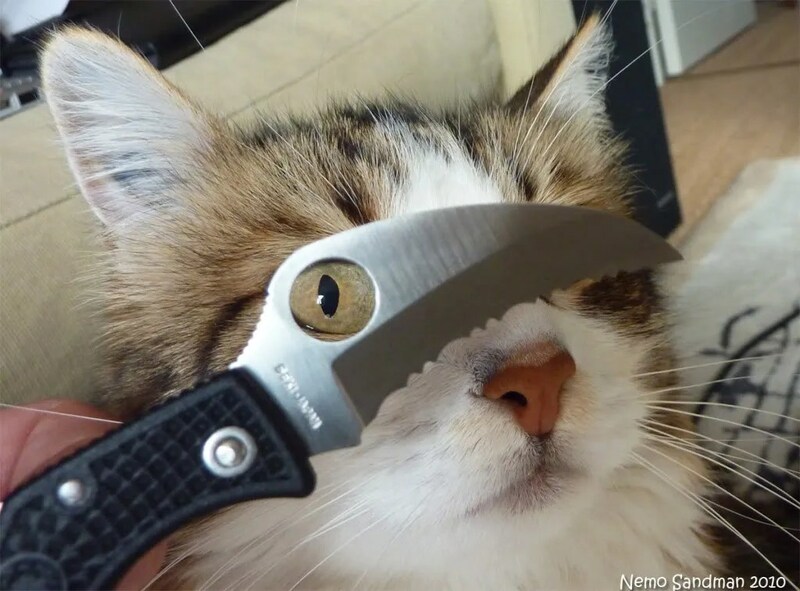 My Sliverax looks at it with its envious hole: how can such a simple knife live so many adventures? Nothing is reliable in this design but the will of her owner to keep going. Where the Chaparral shows exquisite working mecanism and engineering and no play either vertical or horizontal, the little battered Pradel is still going strong, never defeated with all her battle scars otherwise it would have broken. Now when it is used for harder chores, it’s held directly by the blade; the handle working as a folding sheath. This is uncommon; even for the Roman design folding knives two thousand years ago. So what do I take back from the encounter between a modern folder and the Pradel ? 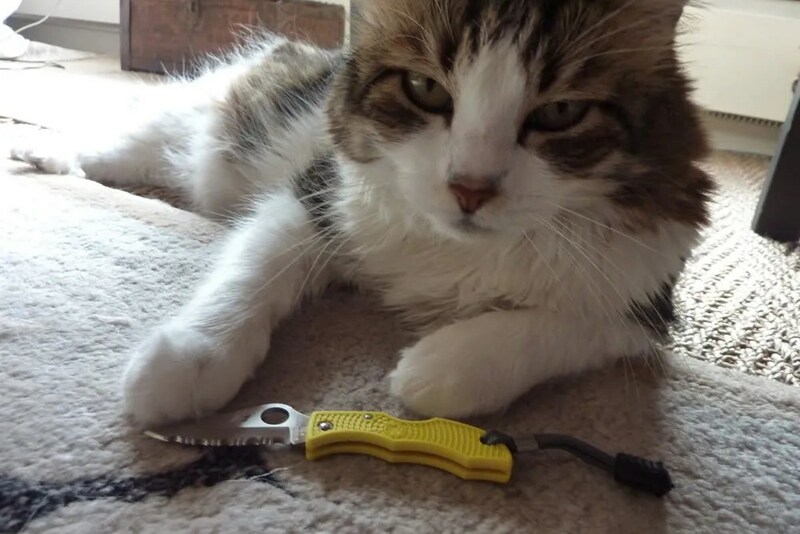 First and foremost we should use our knives, thick tactical toys or slim razors alike. 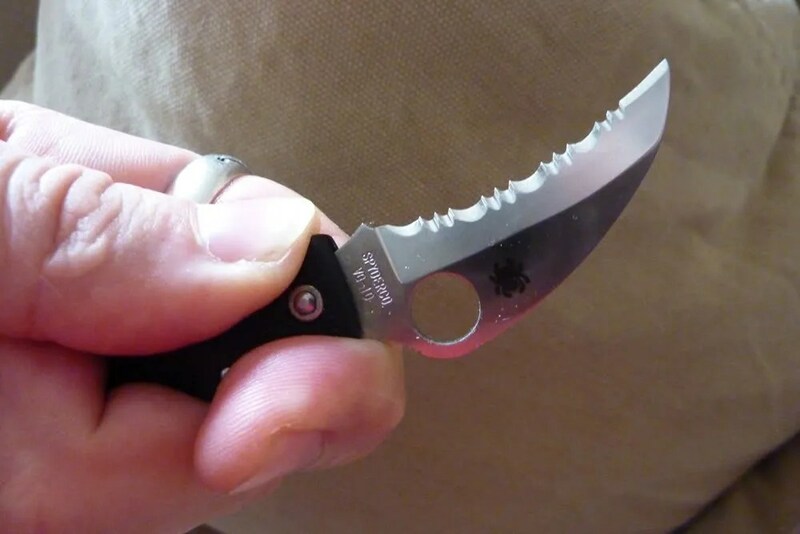 Second a locking blade is luxury and because it’s viewed to be immediately oriented towards some fighting realm… sheeples are allergic to it which is a shame as a locking blade is a great security for our fingers. Eventually people who are still dreaming of knives as weapons are fooling themselves and give bad publicity by not using them for the most humble chores. 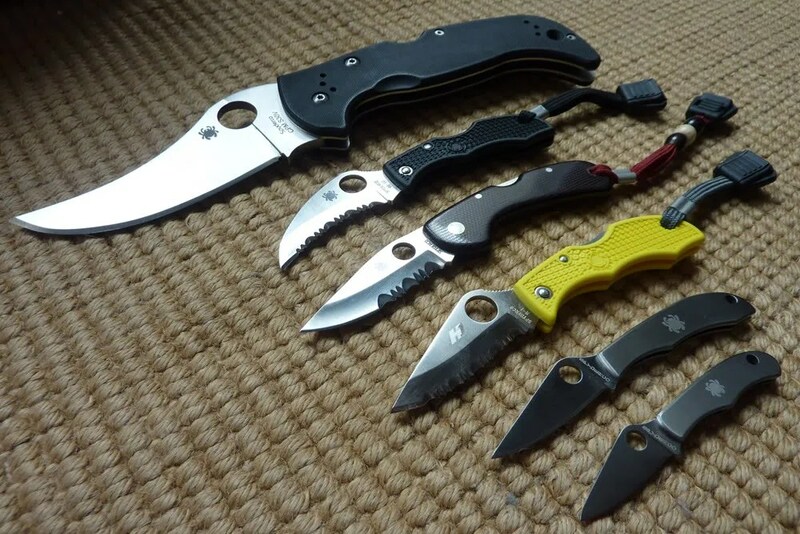 Knives are tools to help, not ninja’s toys with “rings” and “skulls”, symbols of death and tragedy. Posted on 29/12/2017 02/01/2018 Author nemosandmanCategories Advice, FoldersTags Chaparral, folder, Legal, Nemoknivesreview.com, Pradel, Sheeple Friendly, Tactical2 Comments on Pradel versus the world — The gentle Sheeple’s choice. Ladybug Hawkbill Sprintrun – The Real Cat Claw ! The first injection came from a baby Wayne Goddard, then the C22 Walker… now that little claw which is an amazing little tool ! Wolverine, Sabertooth are not the only one to produce some sharp claws in a blink of an eye ! 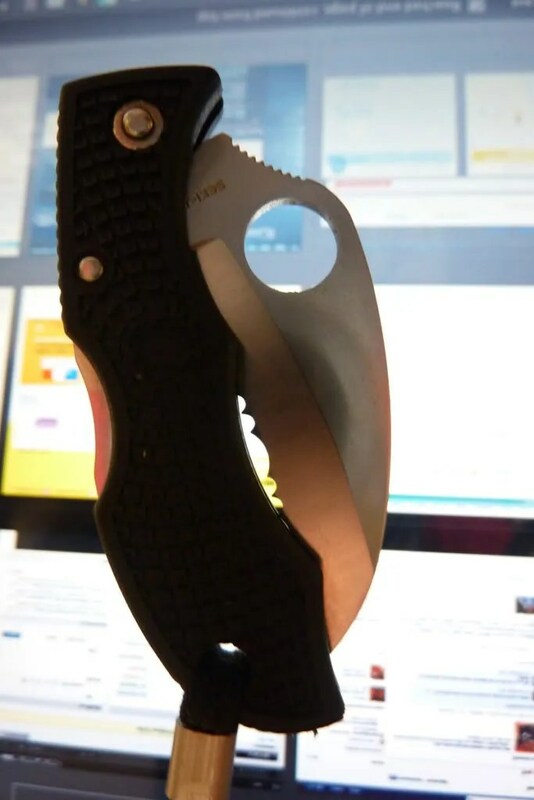 You can do it too and with a very sheeple friendly (and invisible) Spyderco knife. There is a little Ladybug which got all the attribute of a feline “blade”: the “LBKS3HB”. Of course it’s a limited edition but soon it will be (re)release in a H1 and yellow handle version ! This is the kind of knife I love to use in the city: removing labels on clothes, opening parcels, cutting plastic, strings, paper and even bread ! With a baguette this is a great knife to make the long incision for some ham ! 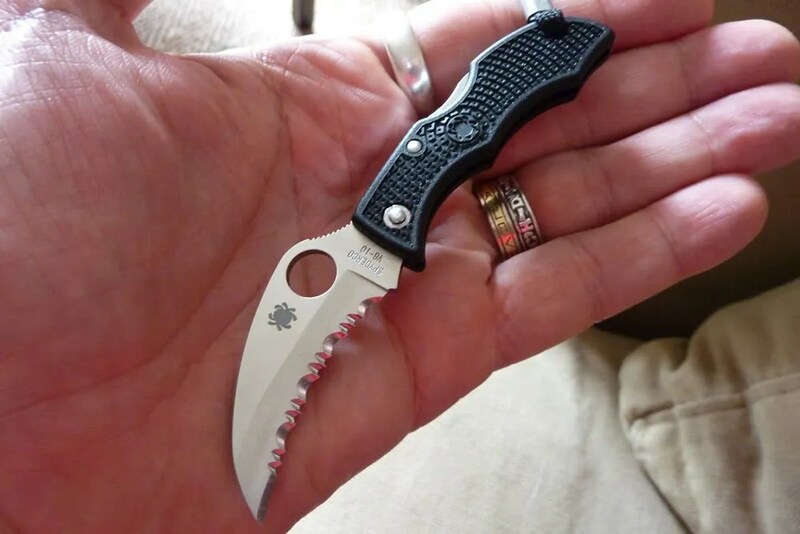 Also, this little knife can be a real contender as a last ditch self defense tool aiming at the hands or the face ! 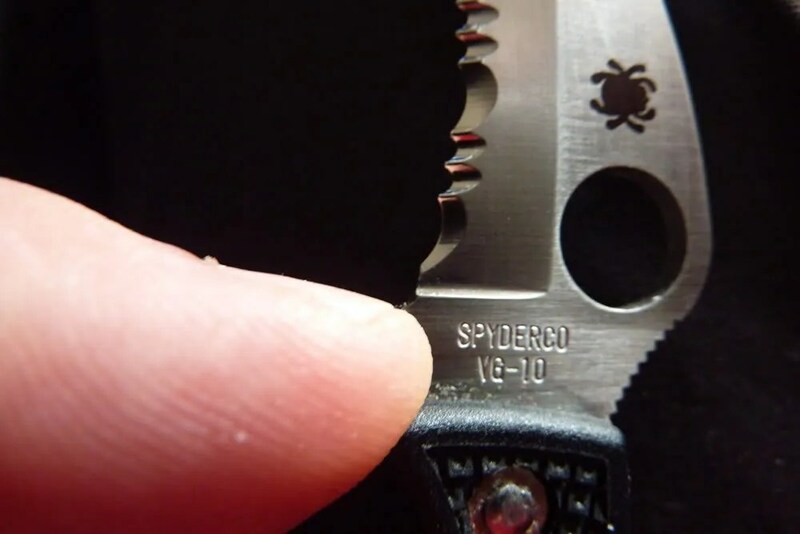 The serrated edge can make painful and bleeding wounds with a swift caress of the blade. 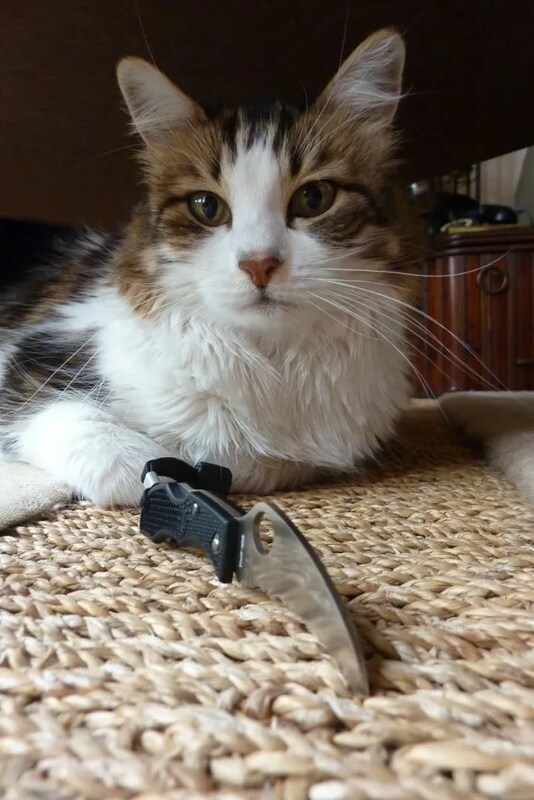 Invisible, fast to put in service, performant… a real Cat Claw indeed ! Confortable in various grip ! Closed, it’s almost got a grin ! This is VG10, baby ! And this is the H1 version of a Ladybug ! 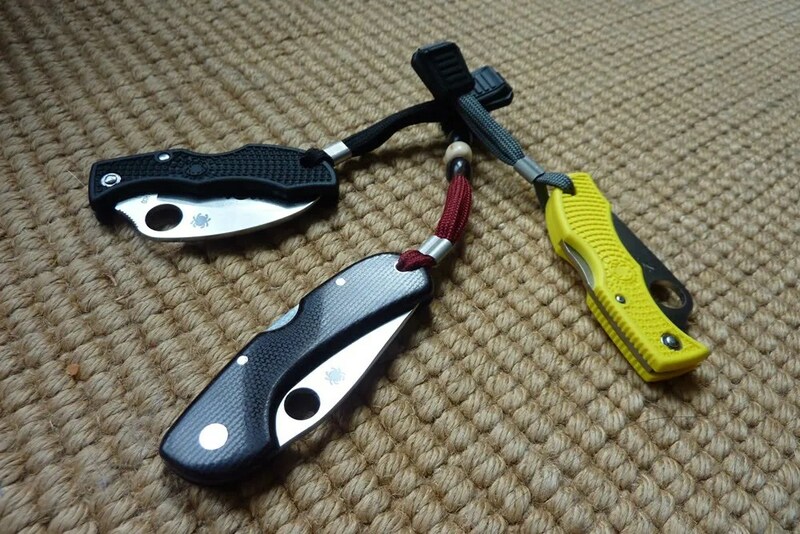 Posted on 27/10/2010 31/10/2010 Author nemosandmanCategories FoldersTags Sheeple Friendly, Spyderco3 Comments on Ladybug Hawkbill Sprintrun – The Real Cat Claw !